It feels odd to say it out loud, but there really comes a time when you want to take a break from all the variety that is being offered to you. The slots industry has boomed as smartphones became the focus, and we see games with all sorts of themes, impressive visuals and complicated bonuses hit the market. As such, now we have an opposite trend, where players clamour for simpler titles. And Habanero is more than happy to provide with their latest release. It has smooth animations, an upbeat soundtrack which plays while you spin and special features that alter the core gameplay loop. The maximum jackpot win is worth 500x your total stake. Jump! is a 5-reel slot with varying heights, which can slowly expand to a full 5x4 playing field. Paylines alter between 192 to 1,024 ways to win. Gamblers can set a wager between $0.25 up to $5,000 per spin. Tap the Spin button, and watch the reels move, giving way to new icons. There is also the Autoplay button that spins the playing field for you, letting you lean back and enjoy the view. The symbol choice in this game is quite reminiscent of old physical machines. You have cherries, plums, lemons, watermelons, golden bells, lucky sevens and a Joker’s hat as icons. The hat is Wild, and does not have any pays of its own. Instead, it can replace any other symbol in a winning combination, and only appears once. It is used to trigger a special feature. There is another bonus which activates randomly called Stacked Spin. Winning any icon from the playing field activates the special feature, creating five of that same symbol on the next spin before the reels finish spinning. This works for all icons except for Wild. Any Joker Wilds on the screen will trigger the re-spins. Any win during re-spins grants another re-spin and expands the height of the reels, starting with the second and third reel and finally expanding the first. Once the layout is changed from a 2-3-3-4-4 to a full 5x4 playing field, 7 free spins are granted to be played on that expanded reel. During re-spins and free spins, the Wild remains on the board, jumping around and completing winning combinations. No additional Wilds may appear on the reels while the special feature is active. Jump! Is a high variance title with an RTP of 98.13%, which is above average for this developer. 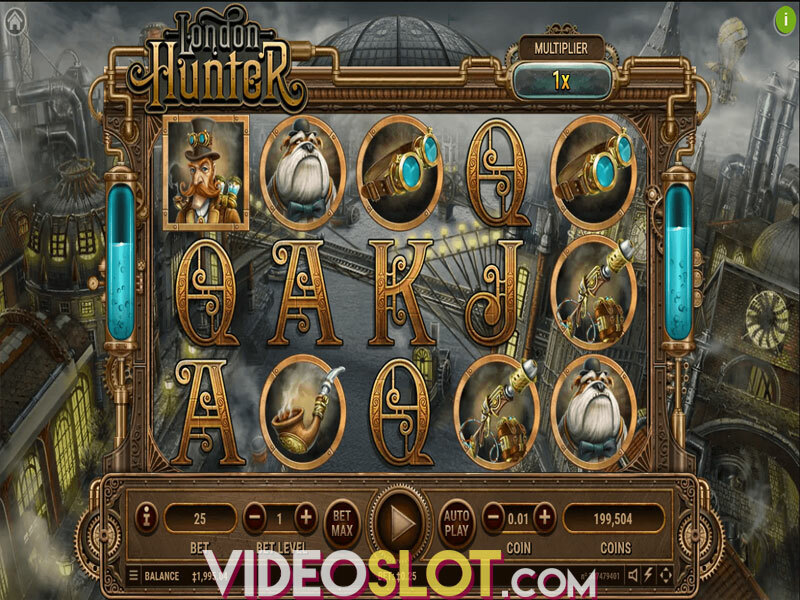 The special features are nothing particularly innovative, but they make for an interesting change of pace and the expanding reels make for an interesting system, especially since you are rewarded with free spins at the end. The graphics were not our cup of tea but we are certain some players will enjoy them immensely.